Climate, the world over, is taking precedence in all conversations today. Currently, underway is the UN Climate Change Conference (COP 23) in Bonn, Germany where the larger part of the international community has come together to further deliberate on the Paris Agreement. Sweden, one of the world’s most sustainable countries continues its commitment to combat climate change. India is progressing at a steady pace with its renewable energy reliance and NDCs. 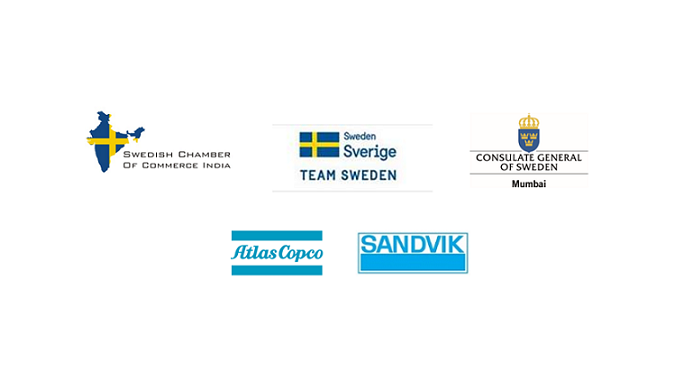 Swedish companies, Atlas Copco and Sandvik, in collaboration with Team Sweden have joined hands as part of the Sweden-India Nobel Memorial Program and invite you to interactive meetings with the Swedish Ambassador for Climate Change, H.E. Lars Ronnås. Join us for a full day program starting with a visit to Atlas Copco’s plant in Chakan, Pune followed by a seminar on ‘Business and Environment Sustainability and the mapping of SDGs’ at Sandvik Asia in the presence of Ambassador Ronnås. We also look forward to hearing from you about the work being done by your company towards being environmentally sustainable and responsible.